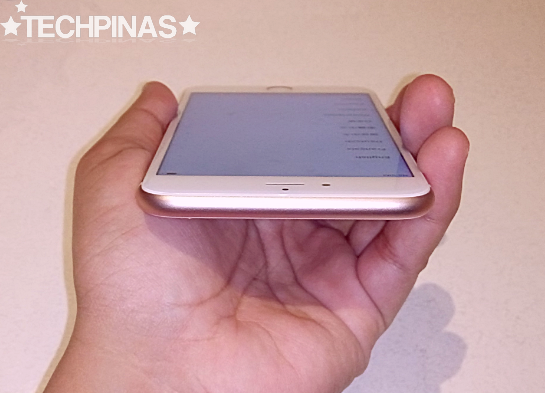 I think Apple iPhone 6S Plus Rose Gold looks really cool. I'm eyeing that. 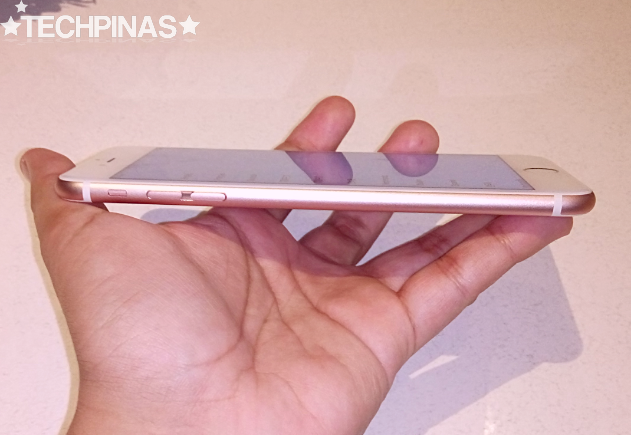 And if you do too, you'd be glad to know that the handset - along with the smaller yet equally powerful Apple iPhone 6S - is officially landing in the Philippines on the 6th of November 2015. Smart Communications is an official Apple partner network and they will be offering the phablet to subscribers via their All-In and iPhone Postpaid Plans starting on the said date. And what's cool is that you can get the unit from the MVP-company for free when you sign-up for one of their hero plans. 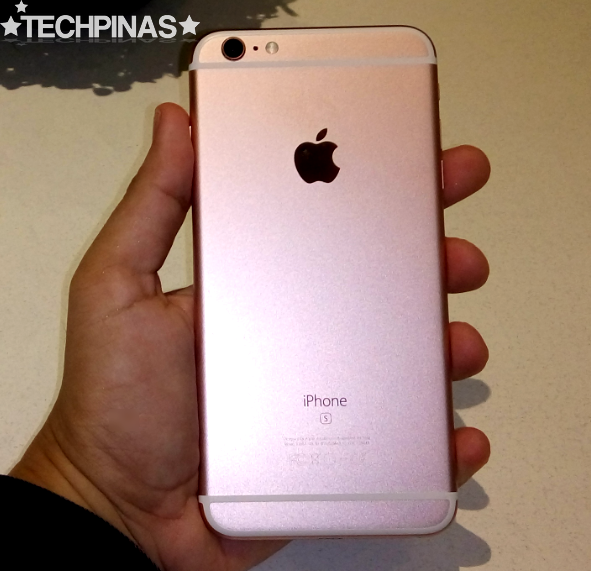 Apple iPhone 6S Plus has been featured extensively on TechPinas. But for the benefit of everyone, let's do a quick rundown of its notable features and key technical specifications. 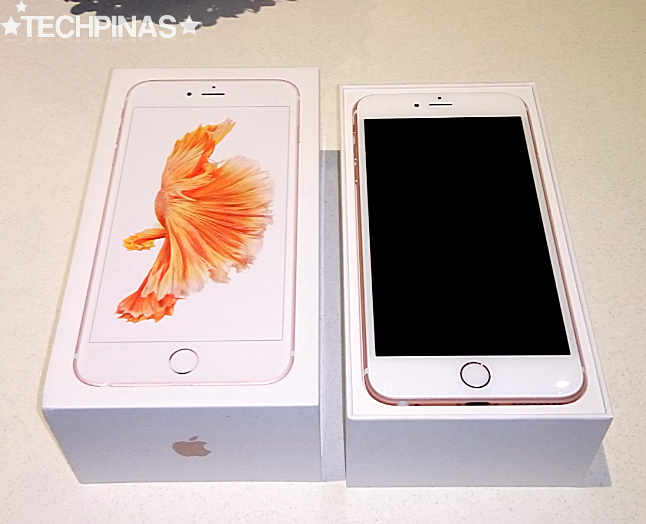 Apple iPhone 6S Plus looks almost the same as iPhone 6 Plus from 2015 but the newer model comes with an additional 'Rose Gold' color option, which a new device hue introduced by Apple via this year's ultra-slim Macbook. The two phablet releases share the same design identity -- but the refresh is slightly thicker and heavier, due to new components inside the shell like Apple's Taptic Engine for 3D Touch. One of the main criticisms thrown at the Apple iPhone 6 Plus and iPhone 6 just a week following their launch last year was that you can - if you really want to - bend them using your bare hands. This led to the much talked about Bendgate Scandal of 2014. This year, to address that issue, Apple used more durable materials - specifically 7000-series Aluminum and ion-exchange-processed glass - in crafting the shell of both iPhone 6S Plus and 6S. Apple's innovative Force Touch screen technology that incorporates pressure sensitivity has made its way to the Apple Watch and the TouchPad of the 2015 Macbook. This year, Apple finally brings this unique display feature to its smartphone line via 3D Touch. 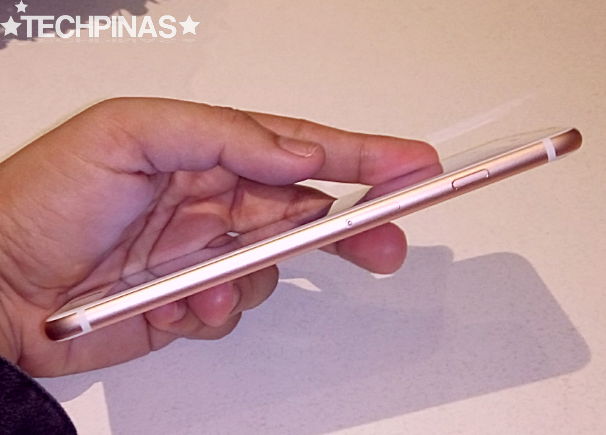 The scratch-resistant glass touchscreen on top of the 5.5-inch Full HD Retina Display of iPhone 6S Plus detects subtle changes in pressure, allowing the user to input "half" or "full" clicks. This also enables new gestures like the all-new 'Peek and Pop' that lets you make commands or perform actions without having to fully open an app or to change where you are on the interface. The second generation Touch ID on this year's Apple phablet reads fingerprints more accurately and faster than ever before -- allowing you to unlock your Apple iPhone 6S Plus and make app purchases more intuitively and without annoying lags. This year's Apple phablet features the faster and more energy-efficient 64-bit desktop-class Apple A9 chipset versus Apple A8 inside the Apple iPhone 6 Plus. Apple A9 is 70% faster in graphics tasks and 90% faster in CPU tasks compared to the Apple A8 from last year. This makes the iPhone 6S far superior in gaming and overall touch performance than its predecessor. M9, Apple’s next-generation motion coprocessor is also embedded into A9 and it allows certain iOS features and background apps to run all the time without consuming too much power. You'll also be glad to know that the iPhone 6S Plus now has 2 GB of RAM for improved multitasking, which - as I've previously noted - is a welcome boost considering that almost all competing flagship phones from last year have 3 GB of RAM. Both the Apple iPhone 6S Plus and iPhone 6S come with an updated version of the virtual mobile assistant Siri incorporated into the latest version of iOS. One key new feature is 'Hey Siri' that lets you access the service and make commands from anywhere on the iPhone's interface. Just like the iPhone 6S, the Apple iPhone 6S Plus sports a 12 MegaPixel iSight camera with 1.22µ pixels, enhanced local tone mapping, and noise reduction. This module represents a clear upgrade from the 2014 Apple phablet's 8 MegaPixel shooter. But what's really amazing about the main camera of iPhone 6S Plus is that it features Optical Image Stabilization for both stills and videos. OIS is made possible by a 'floating lens' that moves to compensate for unnecessary movements - like shaking - when taking photos and recording clips. Apple iPhone 6S Plus' new camera application incorporates virtual illumination or flash for selfies in lieu of an actual LED bulb in front. Apple calls this 'Retina Flash'. How does it work, exactly? Well, it momentarily makes the display three times brighter with True Tone lighting as you snap a selfie using the iPhone 6S Plus' upgraded 5 MegaPixel FaceTime camera. This gives you wonderfully bright and clear self-portraits even when there's little natural or ambient light available. 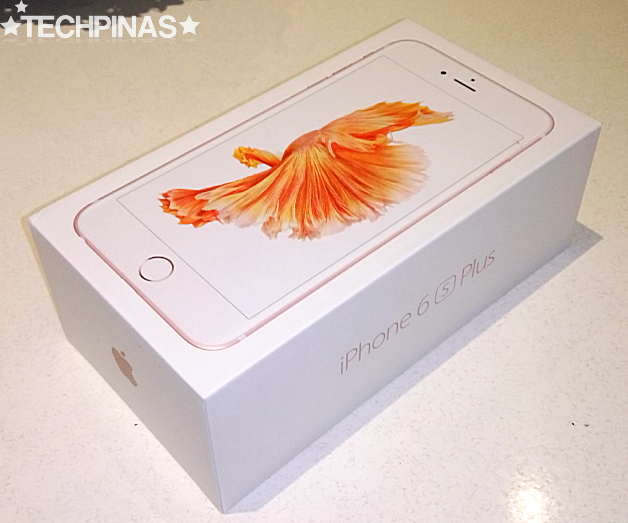 Get your iPhone 6S Plus from Smart and Enjoy The Best Perks! You may also take advantage of Smart's Wipeout promo. Wipe out your existing contract to upgrade to the new iPhones and enjoy corresponding discounts depending on the number of your remaining months in your contract. Apple iPhone 6S Plus is available as a bundled device with Smart's current All-In Plans, which lets you use the full amount of your monthly plan to subscribe to call, text, and mobile data access Flexibundles that fit your needs as a consumer. As a special offer from November 6 until the 31st of December 2015, you may get the Apple iPhone 6S Plus FREE on Smart iPhone Plan 2499 under a 30-month contract, inclusive of a super-sized 15GB data allowance for all your videos, music and games; plus All-Month Surf, which gives you access to all your favorite websites and apps like Instagram, Facebook and Twitter, and chat apps like Viber, Whatsapp, Line and Messenger, among many others, throughout the 30-month period. 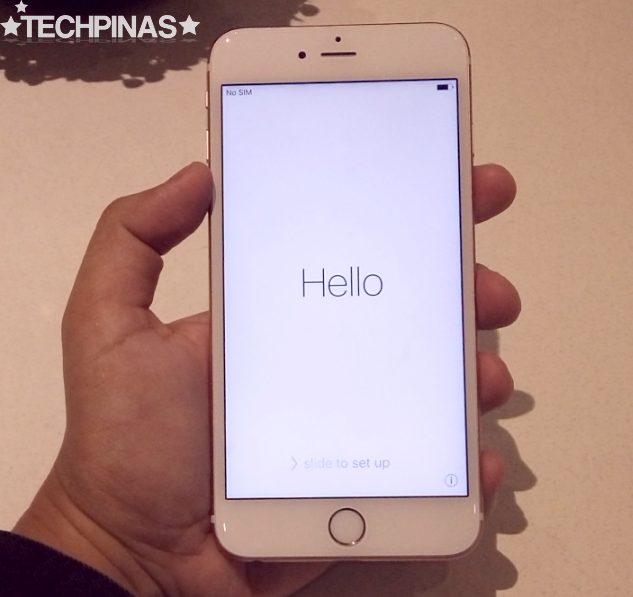 Smart iPhone Plan 2499 is the company's hero plan for this Apple release and it's also our TechPinas Recommended postpaid plan for the iPhone 6S Plus. With this offer, you can get your unit for free, enjoy 15GB of mobile data per month (as mentioned above), send 300 All-Net text messages, make 300 minutes of All-Net calls, and access one free partner app for whole month without limits. Sweet, eh? The latest iPhones will also be available via Smart Infinity, Smart’s most premium postpaid brand, where members can get complimentary iPhone 6S and 6S Plus units via Infinity Consumable Plan 5000 and Consumable LTE Plan 8000. Smart Infinity offers subscribers opulent and exclusive perks and privileges including Worldwide Concierge services, priority hotline and Smart Store handling, and your own Infinity Relationship Officer, among many others. 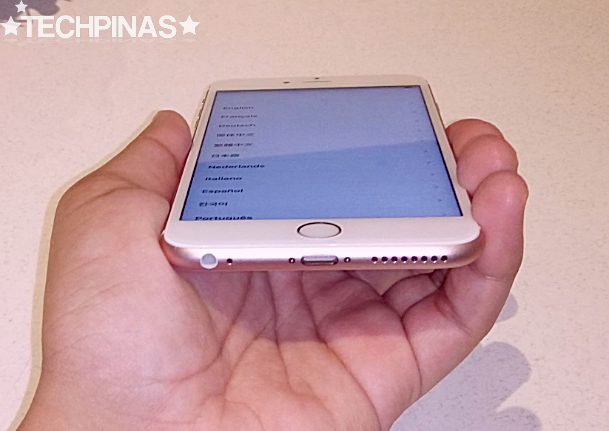 Smart Postpaid’s other unbeatable offers for the iPhone 6S and iPhone 6S Plus are available at www.smart.com.ph/iphone. And for more about Smart Infinity’s unparalleled perks that come with the new iPhone 6S and iPhone 6S Plus plans, visit www.smart.com.ph/Infinity.